Regency Nursing Throws Centenarian Birthday Bash!! 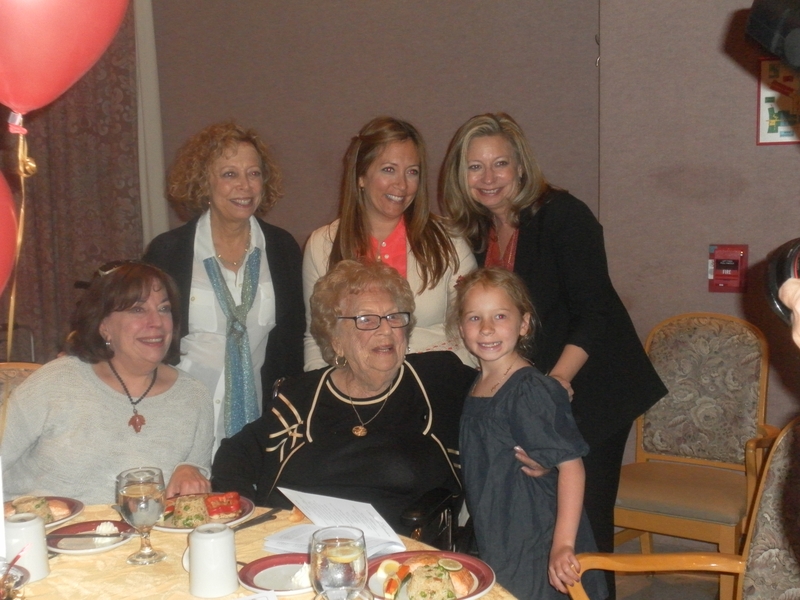 Regency Jewish Heritage Nursing and Rehabilitation Center, 380 DeMott Lane, Somerset NJ, recently hosted a grand celebration luncheon for 21 centenarian “celebrities”. On May 2nd, approximately 90 guests enjoyed a delicious three course luncheon prepared at the Center, a special cake was a centerpiece created for the centenarians, along with live entertainment, and gifts. Wonderful stories that encapsulated 21 centenarians’ life’s were shared, creating high energy and excitement at the event! The program was a collaborative effort between Regency Jewish Heritage Nursing and Rehabilitation Center and Somerset County Office of Aging and Disability Services, The Department of Human Services. 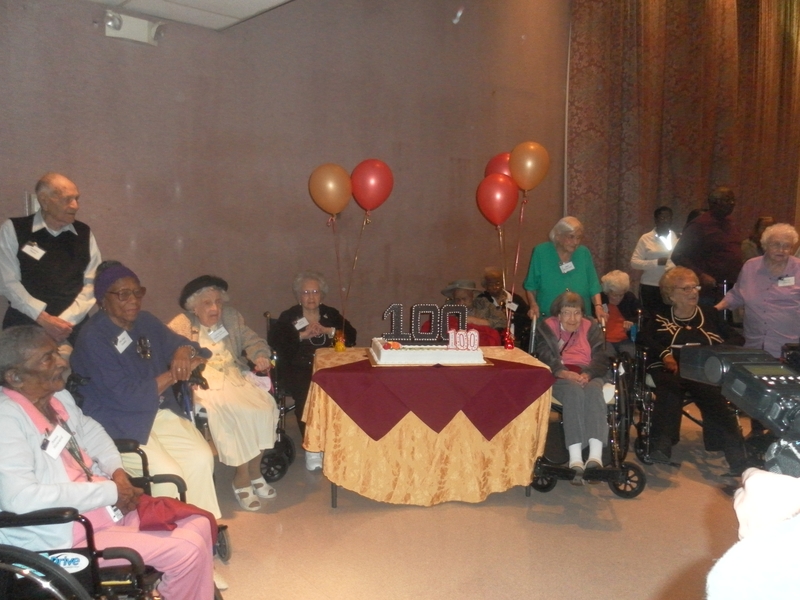 All centenarians in Somerset County were invited to attend, along with their family members. Proclamations from the County were distributed to the honorees by the Somerset County Department of Aging, Administrator of Eldercare Services, Cynthia Vorhees, Freeholder Robert Palmer and Freeholder, Patrick Scaglione. Mayor of Franklin Township, Brian Levine, Joanne Fetzko, Executive Director of Somerset County Office of Aging and Disability, along with County staff attended, and enjoyed these unique people who had such a vast variety of life experiences. Each celebrant was encouraged to share a few “pearls of wisdom”. Most commented they were very grateful for the opportunity to enjoy a full life and enjoy their family, had great faith, and knew how important a good sense of humor is. While these celebrants have a decade of memories to reflect upon and enjoy, May 2, 2012, will certainly create a special new memory for themselves, as well as their loved ones, commemorating the special life they are leading. Pictured are the centenarians gathered around the cake at the finale of the luncheon as everyone sings, “Happy Birthday”. Eight of the Centenarians are residents at Regency Jewish Heritage Nursing and Rehabilitation; one is a short term patient receiving rehabilitation services. Experts attribute longevity to genetics and lifestyle choices. At Regency Jewish Heritage Nursing and Rehabilitation, quality of life, activities, socialization, live entertainment, camaraderie, along with kind, compassionate care is paramount. Pictured are Hilda Lubetkin and her family. Left to right, daughter, Joan Lubetkin, Hilda Lubetkin, centenarian, standing to right is great-granddaughter Chloe Litt. Second row, daughter, Carole Koblentz, granddaughter Renee Litt and granddaughter, Pam Shlissel. One of Regency’s residents, Hilda Lubetkin, had four generations present at the event. They were overjoyed at having everyone together honoring their mother, with family traveling from out of state to be present. Hilda is a joyful lady, and refers to Regency as “The Grand Hotel”. The ages at the event ranged from 11 months old to 103 years young. Everyone who attended expressed their enjoyment, and was a very distinctive celebration for very special “celebrities” in Somerset County. Memories, laughter, smiles and precious moments were created for the group to remember. 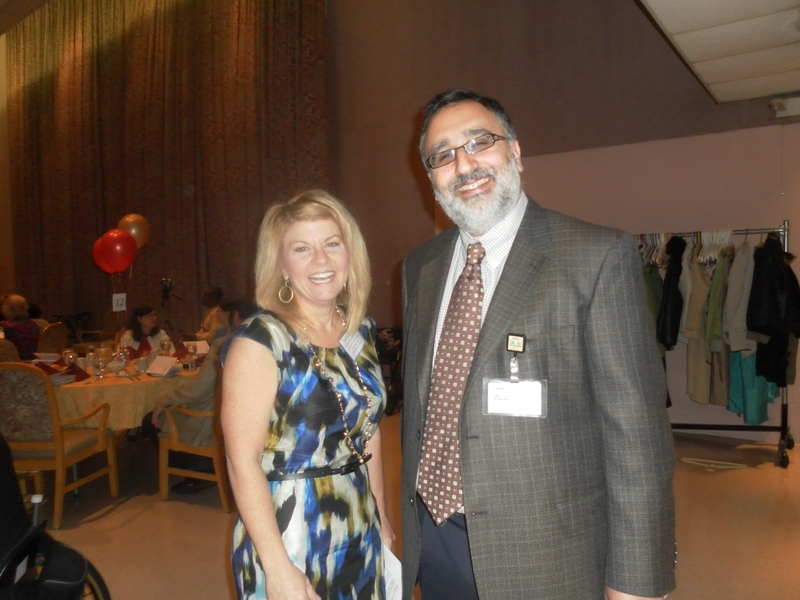 Pictured are Joanne Fetzko, Executive Director of Somerset County Office of Aging and Disability Services, The Department of Human Services and Marty Bengio, Administrator of Regency Jewish Heritage Nursing and Rehabilitation Center. For further information regarding Regency Jewish Heritage Nursing and Rehabilitation Center, call 732-873-2000, or visit www.regencynursing.com. Prepared for publication by: Marie E. Barnes – Corporate Marketing and Public Relations Director – Regency Nursing. This entry was posted in Regency Resident Spotlight and tagged centenarian, regency jewish heritage nursing information, regency nursing feedback, regency nursing new jersey, regency nursing reviews, regency nursing services. Bookmark the permalink.